Counting various objects and animals for kindergarten and preschool. This worksheet contain pictures of Telephones, Buses, Trees, Buckets and Dinosaurs. These worksheets are made available in the 1-5 numbers range. Counting skills is important in early education. 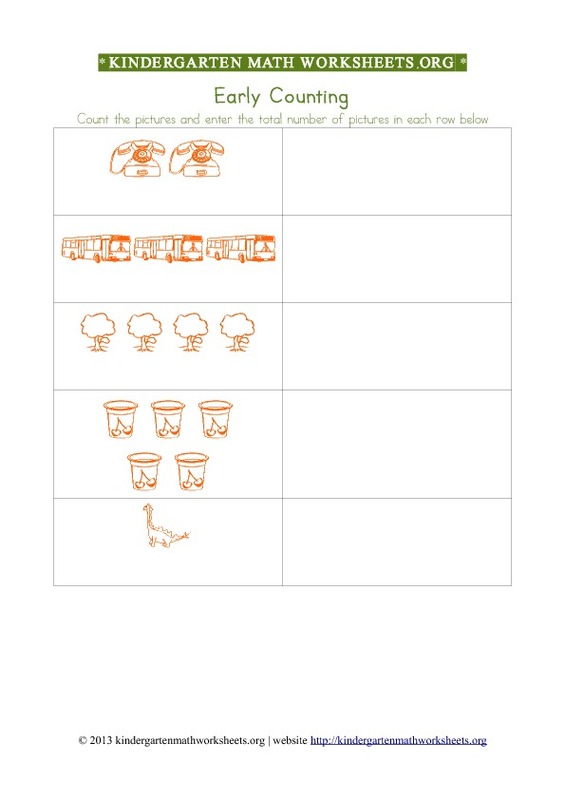 These 1 to 5 counting worksheets for kindergarten with various animals, objects and items of nature will help your students get better at counting skills. Description of worksheet activity: These worksheets contain 5 rows of pictures that must be counted and written down.